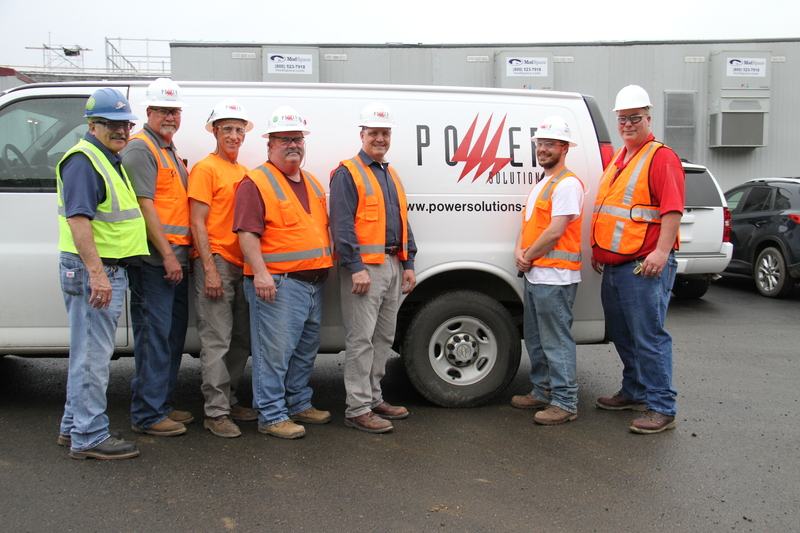 Electrical Alliance contractor, Power Solutions' team. This spring, a project two years in the making was completed, allowing a new S.T.E.M. (Science, Technology, Engineering and Math) program near Leesburg, VA to open its doors to students for the 2018-19 school year. Electrical Alliance contractor, Power Solutions, installed all electrical services and metering; the power distribution system; all interior, emergency, exterior, and building facade lighting; and the fire alarm, grounding and lightning protection systems at The Academies of Loudoun. The team also installed all lighting control; life safety lighting; low voltage systems raceways; and the cable trays for all audio/visual, security, and data wiring. The total effort includes more than 2,700 interior lighting fixtures and 285 exterior fixtures, 190,000 feet of conduit and 262 miles of wire. Power Solutions kept this highly sophisticated project on schedule; mitigating the challenges that come along with all of the moving parts involved in the installation of so many electrical systems. Project Manager Scott Higbie told IBEW Local 26’s IN Charge magazine that managing those challenges was just part of the job. “The skilled Local 26 electricians have consistently put forth their best effort to make themselves stand out on this project and as a result, students at The Academies of Loudoun will enjoy a state of-the-art campus,” he said. Choose an Electrical Alliance contractor for your next project.